Ruffles and Ornaments: a petal shelters the reproductive organs of a flower. I like to think of this flower photo as a “near-abstract.” It’s mostly obvious what you’re looking at, yet somewhat unfamiliar, divorced from the easy reference image in our subconscious but not completely. On another note, I have heard that the color yellow makes people anxious. In this case it makes me want to fiddle with contrast and saturation, so maybe it’s true. 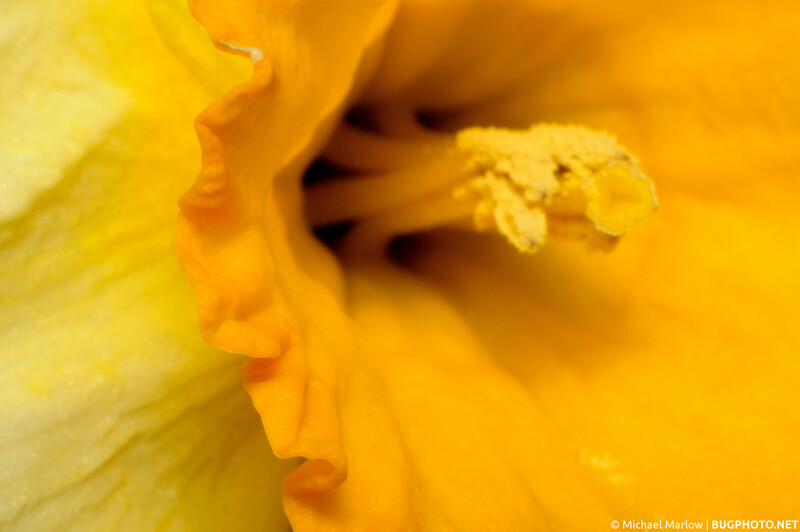 Posted in Not a BugTagged anther, anxiety, flower, Macro Photography, pollen, ruffle, stigma, yellowBookmark the permalink.